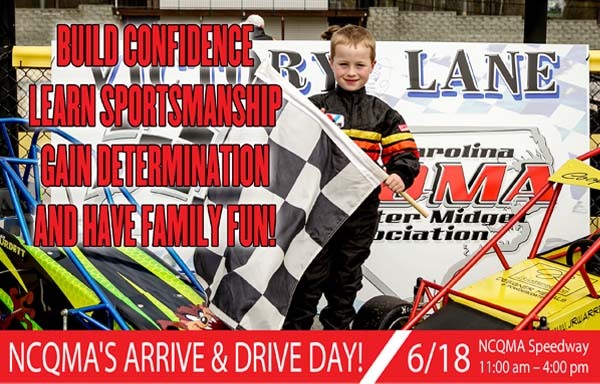 On June 18th, NCQMA will hold another of their popular “Arrive & Drive” promotional days where children between the ages of 4 ½ and 16 can try out a real quarter midget race car. The track provides the car and all mandatory safety equipment. For just $15, each child will receive 15 laps on the track with guidance from track officials and the track flagman. 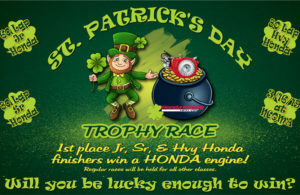 In years past, these promotional day drivers have come to just have fun, to celebrate a birthday with friends, and even to see if quarter midget racing might be a sport that they would like to participate in full time. Whatever the reason for their visits, the children that participate all walk away from the experience with smiles on their faces. 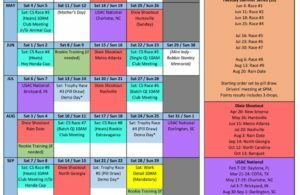 Browse NCQMA.com to get more details on the track and the race schedule for the year. Admission is always free for spectators on race day! 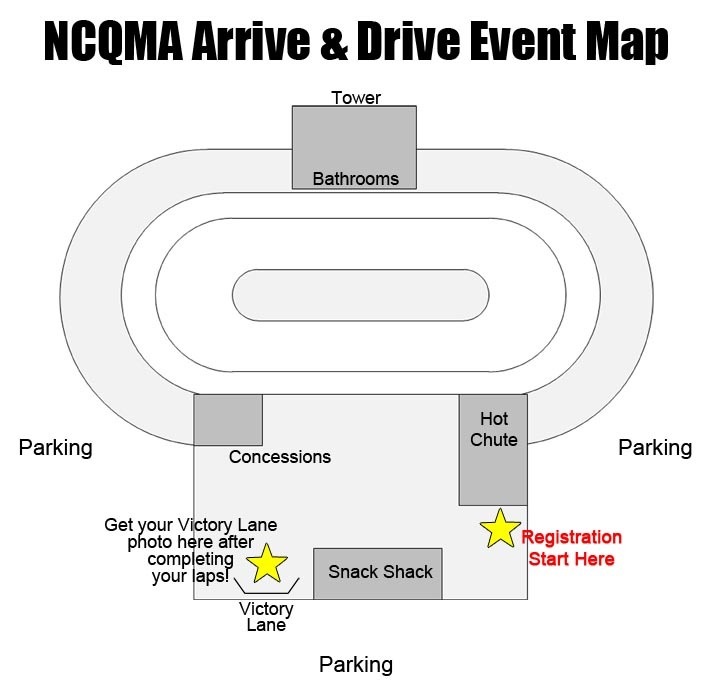 NCQMA is located in Rowan County off of I-85, Exit 72. The track address is 11309 Speedway Boulevard, Salisbury, NC 28146. The NCQMA website address is http://www.ncqma.com. NCQMA is a 501(c)(3) non-profit organization that provides a safe, family-friendly atmosphere for youth racing for ages 5-16. If you are interested in donating or sponsorship, please send an email to NCQMAracing@gmail.com. About NCQMA — Completed in May 2004, Bobby Labonte and members of the North Carolina Quarter Midget Association initiated the building of the first (and only) quarter midget track in North Carolina. 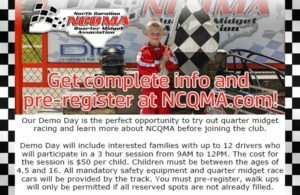 Located in Salisbury, NC, NCQMA is a 501(c)(3) non-profit organization that provides a safe, family-friendly atmosphere for youth racing for ages 5-16. The 20-acre facility includes a paved, oval 1/20th of a mile track designed specifically for quarter midget racing.